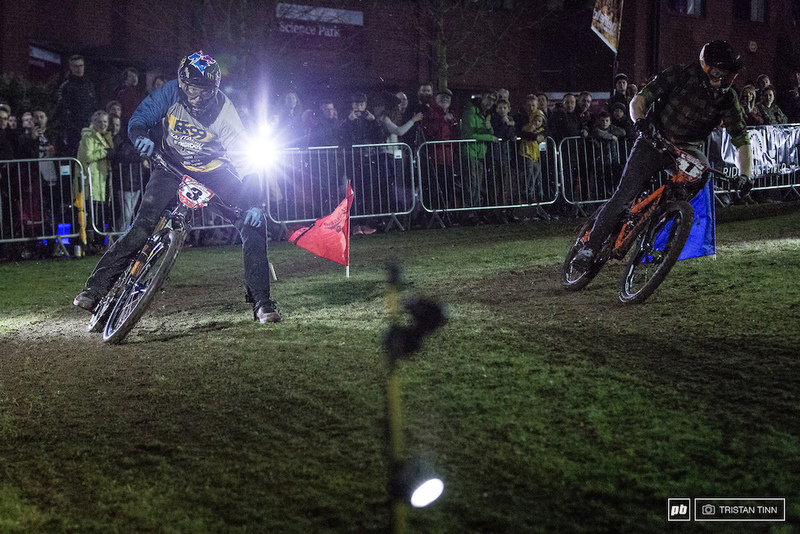 This Saturday sees Sheffield City Centre set alight by torch light and two wheels, the Howard Street Dual returns for its 3rd Year. Bringing the excitement of head to head bike racing right into the heart of the Outdoor City, taking mountain bikes out of the woods and down our streets to be cheered on by the assembled masses. 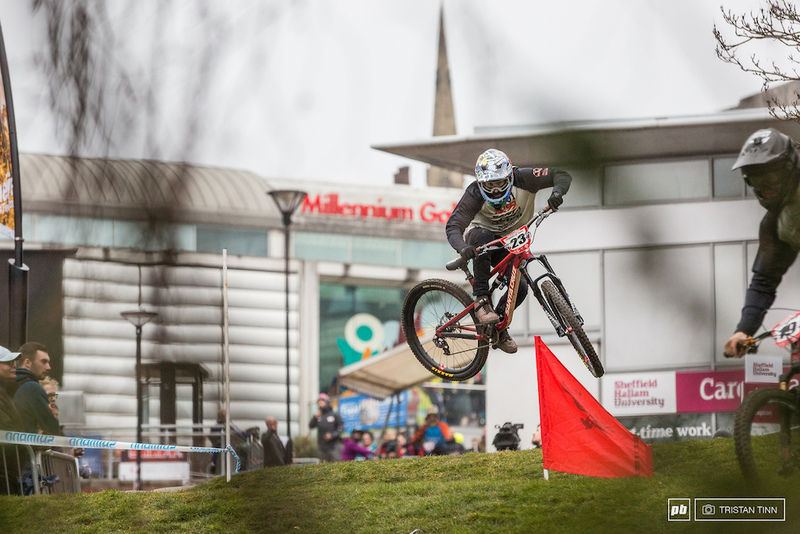 The invited riders represent the cream of the local crop including Sheffield’s own Legend Steve Peat, the current Howard Street Champion, as well as many riders from further afield. Brett Penfold, 2017 winner, is back and ready to challenge for the top spot, will he meet Peaty in the final again? German downhill champion, Nina Hoffmann, has flown in especially to race and challenge our lasses, who will fair better on the slick grass corners and steep wooden berms? The talented lads and lasses will put on an amazing show which will be as much fun to watch as it will to take part. Racing starts at 5pm and will be streamed live on Youtube, presented by Anna Glowinski and Richard Cunynghame. Finals will be around 7pm with the fastest lads and lasses having two chances to make their mark, the fastest combined time taking the win. On site commentary will be provided by the master, Toby Parodi, a top his tower backed up with beats from Redbulls sound system. With cow bells and noise makers lining the track, the racers will be cheered from top to bottom making it great fun for the whole family and the best hecklers in town. The course makes the most of what Sheffield Hallam University has to offer, starting on its doorstep and sending riders at high speed down Howard St to the train station. What a great event. Will Keogh on fire! Faster in first round of Final despite being on slower line! Amazing story as well. This guy has a great future. Excited to see him race at steel city. Peaty getting old - forgets crank & pedal after dropping in ! Dirty riding that didn’t deserve a win ???? how can he win if he takes out his opponent with bad riding? Poor choice. A re-run would've been much fairer. Well given that he got fastest time of the day and beat him fair and square in round one I think maybe he deserves it? An impressive effort taking 1st place and fastest time of the day with 'bad riding' though, am I right? A win is a win, the second place had just as equal an opportunity to hop back on his bike and make a dash to the line - this is a racing after all!